Introducing the GIF BOOTH! 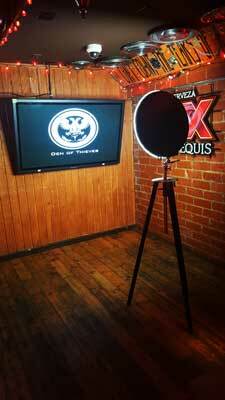 Our GIF Booth creates fun Animated GIFs and features Beauty Ring Light technology. Unlike a regular photo, animated GIFs capture a series of photos and play them back in a repeating loop like a little movie. Like all our other products, animated GIFs can be branded and shared online. They are very eye-catching and stand out well in a sea of social media photos! They are fun and addictive to watch, making them perfect for marketing events and brand promotion. As professional photographers, we are always striving to find or create the most optimal lighting atmosphere for our events. In the GIF Booth, we’ve incorporated the beauty ring light for maximum quality. A ring light is a commonly-used lighting equipment in fashion and commercial photography. Ring light creates a diffused light on the face leaving it shadowless. The same concept is often seen in bathroom vanities and beauty counter mirrors. Have you ever taken a photo in the middle of the afternoon with the sun high in the sky? Typically, it’s not your best look. Improper lighting will leave shadows under the eye sockets, wrinkles, and the neck. 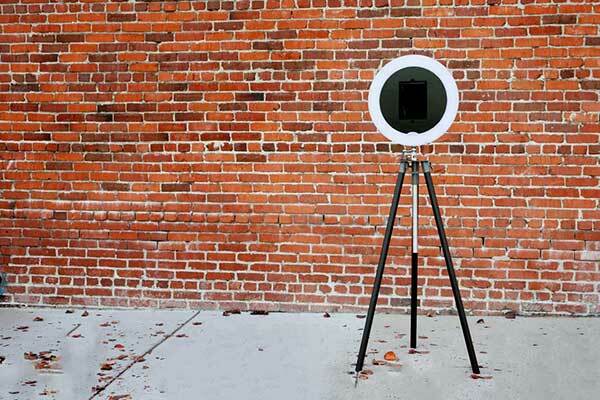 The ring light eliminates and removes the shadows and creases. You will find many photo booths on the market use an umbrella or a light source above the photo booth. While this often produces good results, if not set correctly, the light will leave shadows under the neck and eyes. 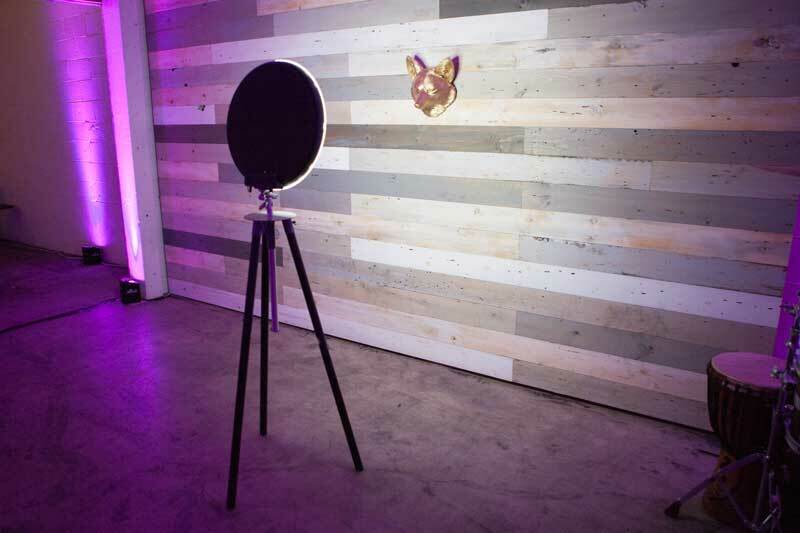 Finally, the GIF Booth features a stylish circular faceplate and espresso tripod legs, and it is entirely WIRELESS! This means you can use it in the middle of a football field without any issues. Our host will arrive and set up the GIF Booth at your event. The installation will typically take about 10 minutes if you don’t use a background. The guest will select if they want to do a photo or an animated gif. Our gif host will be available to assist and answer any questions. After the capture, our software will process the animated gif. After reviewing and accepting it, each guest will be able to upload directly to several popular social media platforms to share, or they can email or text themselves the gif. HOW MUCH POWER DO WE NEED? NONE! Our Gif Booth has built-in batteries that will operate for approximately 7 hours on battery. You can place our Gif Booth anywhere you like. It can be placed on a balcony facing the night sky, in the middle of a golf course, on edge of a lake or sands of the beach, or in the middle of the festival. As long as we have WIFI, we can take your photo and gif from anywhere you wish!